“I’ve never had anyone with a disability complain about accessibility to anything, you’re the first one. So, I am interested in what you have to say.” This was said by an official leader in my town, when we met to discuss accessibility to the beach. This person for his own protection shall remain anonymous. I being the advocate that I am, chose to take the high road and only show the point of the story. After hearing this and the initial shock wore off, I continued to prove by telling my own personal stories, along with others in similar position, the difficulties of making it to the ocean on their own. I also told him how powerful of an experience it is, to go to a local tri-weekly event in a neighboring town, where people with physical disabilities can participate in adaptive sports. All of this however, seemed to have very little effect on him, until I was able to tell him the kind of person I am. I then told him that I do not give up on getting the things I want done. Then and only then did his ears perk up like a dog who is listening for an animal they are about to hunt. He had a smile on his face from ear to ear as he said “Good! I always tell my kids that it is not enough to say you are going to do something, you have to do it.” Shortly after I shook his hand and wheeled out the door, knowing that in just a few short hours he and other officials in my town would be honoring me for my contributions in the community. An award planned prior to our conversation. Then the next day I emailed him to thank him for our meeting and for the certificate. I asked him to please send me the photos that his personal photographer had taken and he agreed. Little did he know that I had already devised a plan to do all the research that he had asked of me during our meeting. I was determined to prove to him how serious I was about wanting access to the beach. I want to be able to live a more independent life and express to the world my Youbilities to do things like swim or surf along with give others the same option to do so, if they so choose. The weekend came and I decided it was time to put my plan in motion. I wheeled over to the beach, not in my power chair but in my manual. Something about pushing myself, gave me more of an incentive to really stick it to this guy. I asked my mother to talk to the lifeguard and ask him to bring me a beach chair because my manual does not work in the sand. When the two walked over, he was already briefly aware of the situation at hand. We discussed things like distance and materials. He was able to tell me that the distance from the wooden pathway to the sand before erosion, is approximately sixty feet. He continued to tell me that a beach in a neighboring town has specific mats that are needed for accessibility, permanently placed on the sand. A great piece of information since the person I had the meeting with, wanted to create a system where a person with a physical disability would call ahead to get the mats placed on the sand. Immediately after we talked, I left the beach and went home to write the email to the person in question. I sent him a link to a website (PathMat Beach Access Walkway Matting) that has the materials for fairly inexpensive and told him all the information I had gathered over the last few days. He thanked me and told me that he was going to talk to his staff to see what can be done. His lack of enthusiasm still irked me but I felt a sense of calm because I knew he had finally seen that I was not going to back down and he was beginning to take my efforts seriously. This to me was a great victory even more so then getting the accessibility, which when it happens, will be incredible! 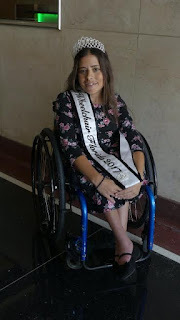 I felt so pleased to know that I was able to show a person who is at a certain stature of power, that I, a girl in a wheelchair, whom he had dismissed on several occasions, was able to get things done. This to me is the true definition of showing the world our Youbilities and I encourage all of you to go out and do something in your life or in your community that will make you feel the same because it is pretty incredible. Katherine was born with Spina Bifida 32 years ago, a condition that has confined her to a wheelchair. She was raised in the suburbs of New York and currently a resident of Sunny Isles Beach, Florida. Despite her medical condition, she has never let her disabilities impede her from achieving her goals. She is the author of a series of children’s books titled “The Adventures of KatGirl”, which are stories about a super hero in a wheelchair. Katherine is also the co-host of a weekly online radio show called “Brain Matter” with Dr. Robert Gottesman that interviews people with disabilities who accomplish extraordinary things. 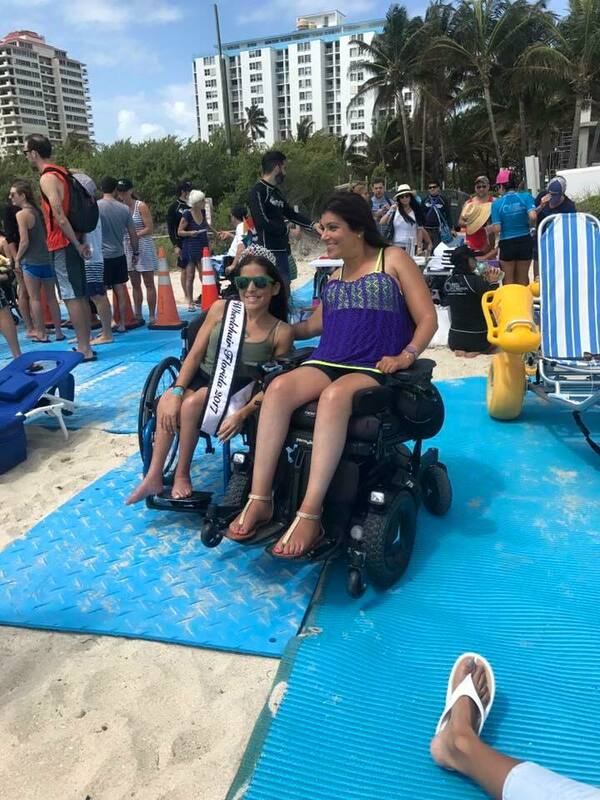 She is also in the process of being the co-facilitator of the Book Club for Center of Independent Living of South Florida as well. Her platform of Youbilities, which speaks on focusing on our abilities instead of our disabilities is her idea on the best way to change the perception people have on those of us living with physical, emotional, or mental challenges.